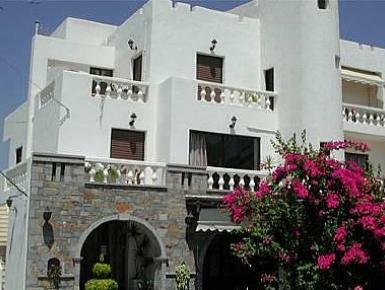 The property is situated by the waters of the Libyan sea and 1 km east from the town of Ierapetra. The area has high temperatures and the longest sunshine in Europe. Each apartment comprises of one twin or double bedroom, living- room with bed or bed-couch, dining area, a fully equipped kitchen, bathroom and a veranda with a sea view. The apartments differ in size and can accommodate 2 to 4 people. All apartments are fully air-conditioned and have satellite TV.